So, to make things easier, the Schill team wanted to make a simple guide explaining the basic types of pruning cuts and the situations when it’s appropriate to make them. It’s important to prune throughout the year to keep your plants happy, healthy, and maintain their size. There’s no set time table for the best times to trim because trees and shrubs grow and bloom at different rates and during different seasons. But pruning does have different purpose for each season. For example: in summer, pruning is mostly done for aesthetic reasons, while more drastic dormant pruning is done in winter to correct a plant’s growth pattern if branches are starting to compete with each other. So, most people prune trees and shrubs in summer primarily to maintain their size. 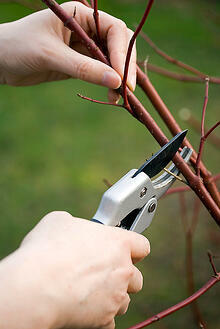 But pruning during the warmer months can help a plant to thrive, especially if there are parts that are damaged. Plants spend a lot of energy trying to provide nutrition to all of their parts. Therefore, removing fading, dead, or dying branches or flowers allows for the healthier parts to consume more energy. There are many ways to prune, with shearing being the most common. Shearing is done with pruning shears, which come in manual and gas or electric powered varieties and are a versatile tool for trimming everything from flowers to tree branches. A powered shear or saw may be useful for removing the branches of trees that are more mature. 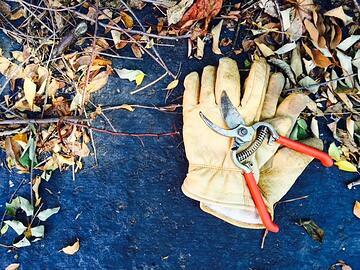 Hand pruning is simply removing damaged or fading parts of the plant with your hand, and can be done on anything from delicate plants like annuals or flowering perennials to larger shrubs with heartier branches. Fortunately, no matter what tool you use to prune, the techniques and best practices remain the same. Thinning, reduction, and heading cuts are three main types of pruning cuts. As previously mentioned, if you look online you’ll find a lot of information that contradicts each other concerning the meanings of these terms as well as the best way to implement them. Each serves a unique purpose and must be performed with precision in order to ensure the desired outcome. Thinning is a method of pruning that curbs the density of branches and limits growth by either completely removing the branch by cutting at the trunk or parent branch, or by shortening it (also referred to as a reduction cut—more on those below). Heading cuts (also sometimes referred to as topping or shearing cuts) are made near the tips of branches. Used in the short term to maintain plant shape, heading cuts can actually cause rapid growth: where one cut is made, two or more branches often sprout up. 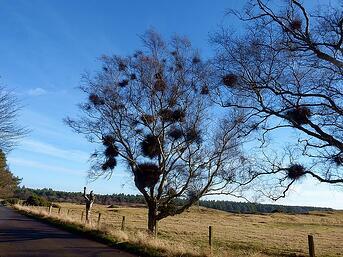 Witches broom (pictured left) is a great example of this happening in a tree. For this reason, heading is often seen as an improper or undesirable pruning method, but it can work well if your goal is to promote branch growth. Branches that sprout after a plant is headed may be structurally unsound, so it’s important to monitor growth after heading. Here’s a great rule of thumb: cuts are considered heading cuts if the branch that’s removed is more than 2/3 larger than the branch that remains. While technically all cuts reduce the size of the tree or shrub that’s being cut, reduction cuts are a specific pruning technique in and of themselves, and they require a lot of precision to get right. 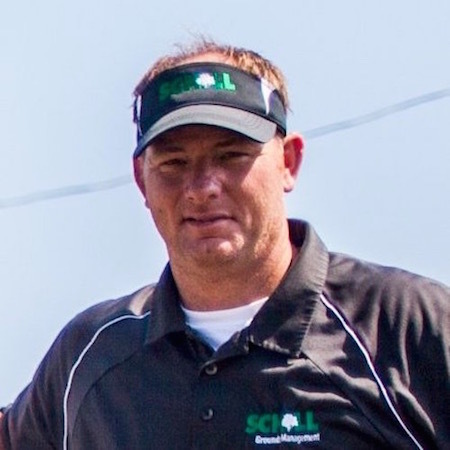 Many horticultural guides consider reduction cuts to be a type of thinning cut, while others will classify them separately. Reduction cuts can look like heading cuts, but they serve a very different purpose. As the name suggests, reduction cuts are used to correct the size of trees and shrubs that are overgrown, damaged, or just too large for the space that they were installed. Again, heading cuts often result in more shoots emerging from the cut branch. To make a reduction cut, make sure that the branch you’re cutting is no larger than 1/3 of the size of the branch that you’re cutting to. Typically, cutting back to parent branches are good guides for making safe reduction cuts, as they are larger than the branches that stem from them. We work hard to make sure that our crews are trained in the proper pruning techniques. To ensure that your trees are taken care of holistically, we also partner with seasoned arborists to monitor their health. 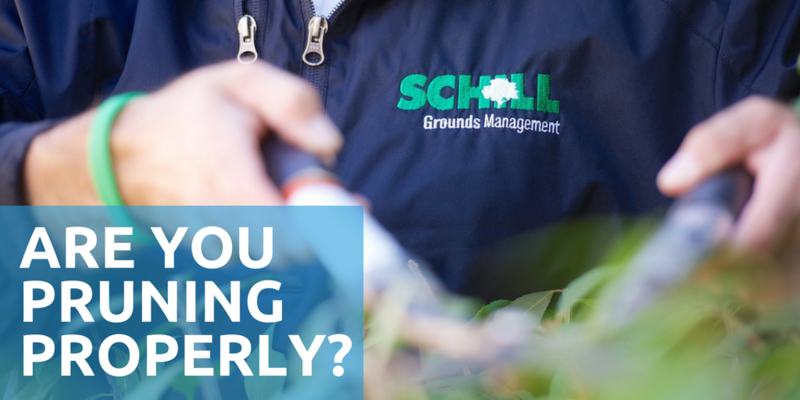 Contact us if you’d like us to assess the health of the trees and shrubs on your property, and check out the summer checklist below for quick tips on the best things to do this season to keep your property looking its best.